That honour goes to the Mornington Peninsula Brewery, strangely enough located in Mornington. It's one I thankfully get to visit quite regularly as it's not far from the family holiday house in Somers. Launched in 2010, the brewery exploded onto the scene and has become a firm favourite of Victorian craft beer enthusiasts. Mornington is the first brewery I've reviewed for this section to tick all the boxes. They offer a tasting paddle, what self-respecting micro brewery doesn't? They offer food, the have branded glassware and there's jumpers, t-shirts, hats and the like for sale. Top job Mornington! 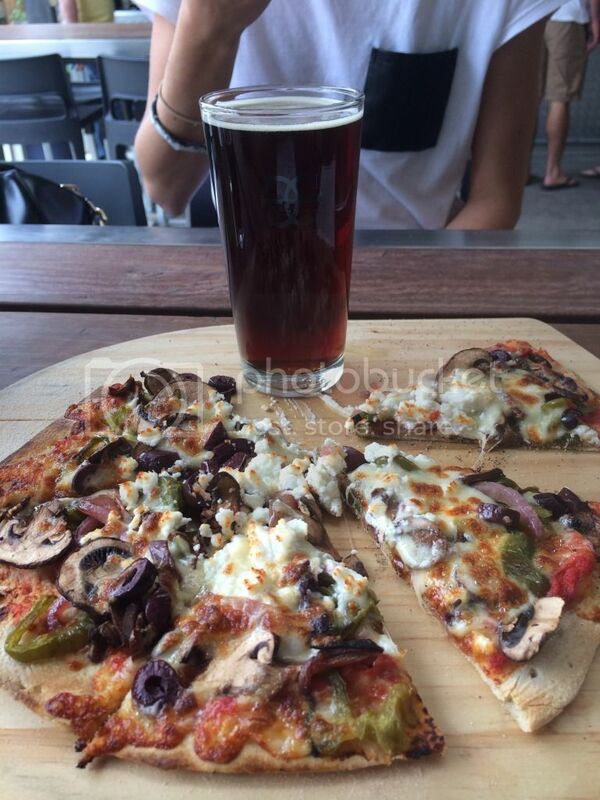 The brewery is located in a warehouse, maybe a kilometer from the main drag, in Mornington. It's in this industrial area and there's plenty of parking available in this big car park across the road if the brewery parking is full. The brewery itself is located just behind the bar and they've even got an upstairs area you can walk up and look down over the brewery. Mornington's core range is made up of 5 beers; a Pale Ale, a Brown Ale, an IPA, a Witbier and a Porter. All of these are excellent and if you come across any of them around the traps it'd be remiss of you to turn them down. They're turning up at restaurants more and more frequently so keep your eyes peeled. The seasonals are a great part of the brewery experience at Mornington. Favourites or mine have been the Black IPA and Sorachi Kolsch, a beer I highly recommend everyone trying - because it's so unique. 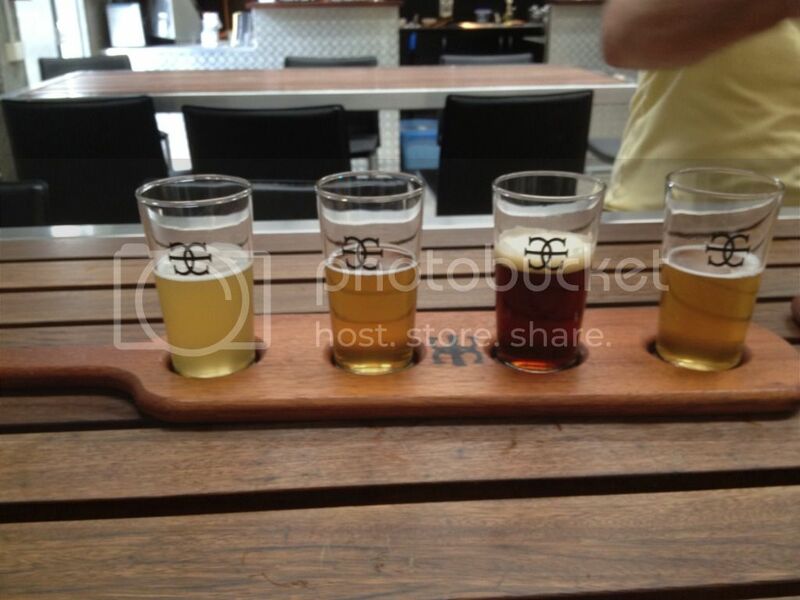 If you do make the journey down to Mornington make sure you try all of the seasonals. What Mornington have really become famous for recently has been their Imperial range. The Russian Imperial Stout is seriously stunning! It won gold at last years AIBA from memory. I know my dad is a huge fan of the Imperial Amber Ale, he's always disappointed when it's not on when we visit the brewery. And the Imperial IPA is a very good example of the style and one I look out for every year. I've just checked my Untappd, for research of course, and found that in the 16 Mornington beers that I've had, I've never rated one under 3.5 - and that was only 3 seasonals! The core range has never been below 4 (out of 5 or the uninitiated). They are pretty incredible numbers considering I'm not generous with my ratings. Their pizza's (see left) are stunning! There's always new choices, complete with suggested beer pairing, to sample everytime you go. There's live music in the bar, I've been told, on Friday and Saturday night as well as some Sundays. Even without the beer it's a top venue, when you chuck the beer in on top; it's amazing! If I was asked to pick a Victorian brewery for a traveler to visit if they could only visit one; Mornington would be the one. 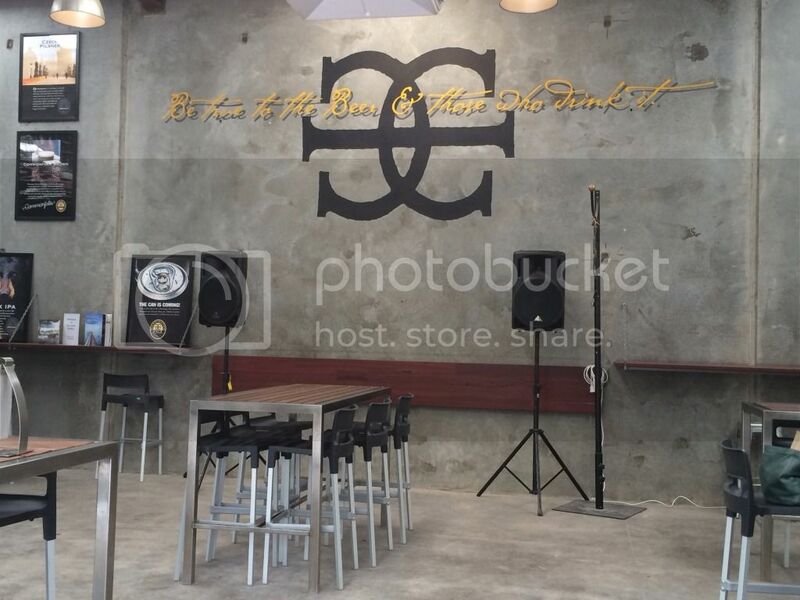 It's a combination of all the things I love; great beer, great food and a great atmosphere! Now if only they could put it next to a train station and I'd be there every week!